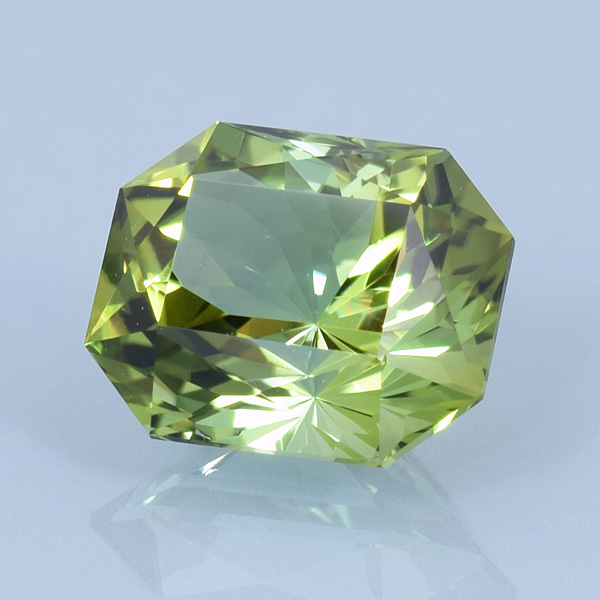 COMMENTS: A very nice spring green tourmaline! This stone has a very nice lime green in the ends and a lighter, slightly blue tinted green in the middle. Great clarity and lots of sparkle!